SHILLARY ”CACKLE” CLINTON KNEW ALL ALONG THAT BENGHAZI ATTACK WAS A TERRORIST OPERATION…….. – The Tundra Tabloids……. SHILLARY ”CACKLE” CLINTON KNEW ALL ALONG THAT BENGHAZI ATTACK WAS A TERRORIST OPERATION…….. Please America, dump this woman. Don’t forget how we came to this point. 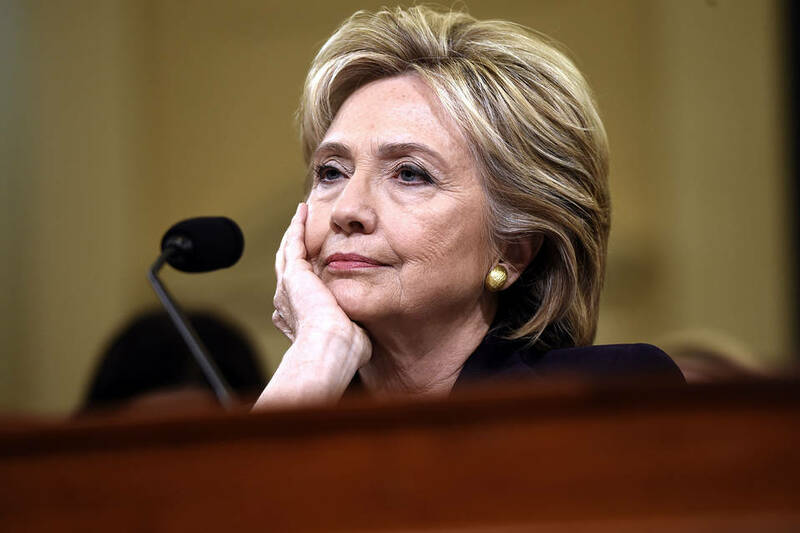 Mrs. Clinton complained in her testimony on Capitol Hill that past Congresses had never made the overseas deaths of U.S. officials a “partisan” issue. That’s because those past deaths had never inspired an administration to concoct a wild excuse for their occurrence, in an apparent attempt to avoid blame for a terror attack in a presidential re-election year. What that House committee did Thursday was finally expose the initial deception. To understand the willful depth of that trickery, let’s briefly recall the history. In early September 2012, at the Democratic National Convention, Vice President Joe Biden summarized to thunderous applause the administration’s re-election pitch: “Osama bin Laden is dead, and General Motors is alive.” Translation: The president had revived the economy, even as he had put “al Qaeda on the run,” as Mr. Obama put it. Five days later, four Americans in Benghazi were dead. It appeared the White House had slept through a terror attack on the anniversary of 9/11. Previous Post Previous Post ISLAMIC STATE VIDEO WARNS JEWS OF ISRAEL THEY’LL OVERTHROW JORDAN AND THEN SLAUGHTER THE JEWS……. Next Post Next Post PROUD MUSLIM SETTLER TAKES SELFIE IN FRONT OF HIS WORK……..